If you are interested in working in what is projected to be one of the best careers for the future, look no further than nursing. There are several factors figuring into this equation, including the aging baby boomers, the average age of nurses, and the fact that more people than ever have regular access to the healthcare system. 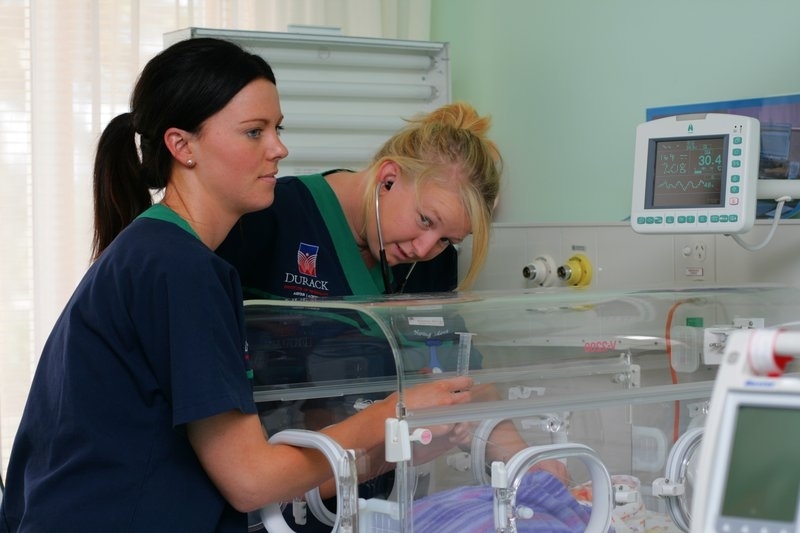 Depending on what type of nurse you are interested in becoming, the nursing education path can take as little as one to two years. Here are the top three reasons why now is a great time to become a nurse. The United States Bureau of Labor Statistics lists three different nursing paths in its list of jobs across the country with the "largest projected number of job openings due to growth and replacement" between 2012 and 2022. Licensed Practical Nurses (LPNs) and Licensed Vocational Nurses (LVNs) are expected to experience the greatest rate of growth of all nursing professions, at 24.8 percent, followed by Nursing Assistants (NAs) at 21.1 percent, and finally Registered Nurses (RNs), with 19.4 percent growth. When you compare this to the expected growth for all jobs at a national level, at 10.8 percent, you can see the long-term potential of this profession. Many employers are already offering tuition assistance for nurses who wish to further their education. There has also been a push by national organizations, such as the American Nurses Association (ANA), to not only increase the number of employers who participate in tuition assistance, but also to offer more loan forgiveness programs. If you are lucky enough to work in a market that has a Magnet hospital, you will find that their focus on nurse satisfaction affords more flexible scheduling and that nurses have more of a voice within the organizations themselves. As the influx of patients into the healthcare system becomes more pronounced, nurses will be taking a larger role in both patient care and administration. A recent report by the Institute of Medicine was praised by the ANA for its recommendation that nurses be allowed to "practice to the full extent of their education, training and licensure," that advanced education options be made more readily available and that nurses be considered "full partners" in shaping our changing healthcare system. Of course, these are only some of the reasons why nursing is one of the best careers for the future, but these factors are sure to be high on anyone's list.